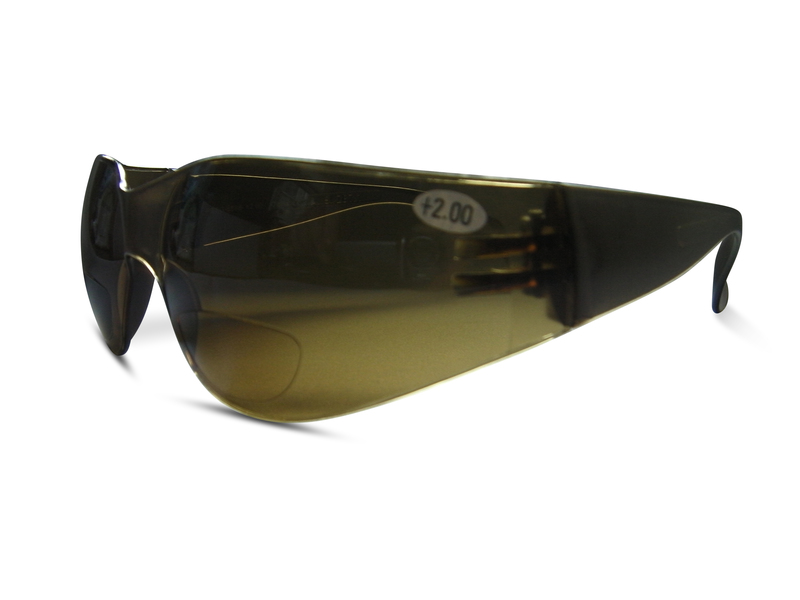 These fabulous Safety Bifocal Sunglasses will give you protection whilst working outdoors. It is important to know that not always dark lenses provide complete protection. One has to check the glasses’ quality and provenience to be sure to have the right protection. Five categories are defined, for coloured, photochromatic and sunglasses lenses. Each category corresponds to a minimum level of UV protection. The wearer must verify the pertaining category and indications for use. CAT 0 (transparent or slightly coloured lenses)- [80-100% transmission] Use: Inside or overcast skies. CAT 1 (Slightly coloured lenses) – [43-80% transmission] Use: hazy sunshine. 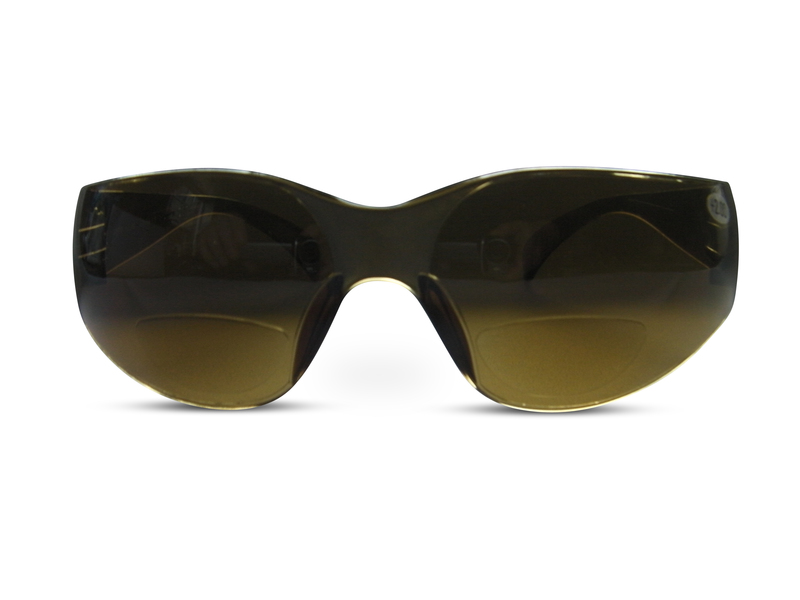 CAT 2 (Medium coloured lenses) – [18-43% transmission] Use: medium sunshine. CAT 3 (Dark lenses) – [8-18% transmission] Use: Strong sunshine. CAT 4 (Very dark lenses) – [3-8% transmission] Use: Intense sunshine, lenses not to be used on the road, including driving.. 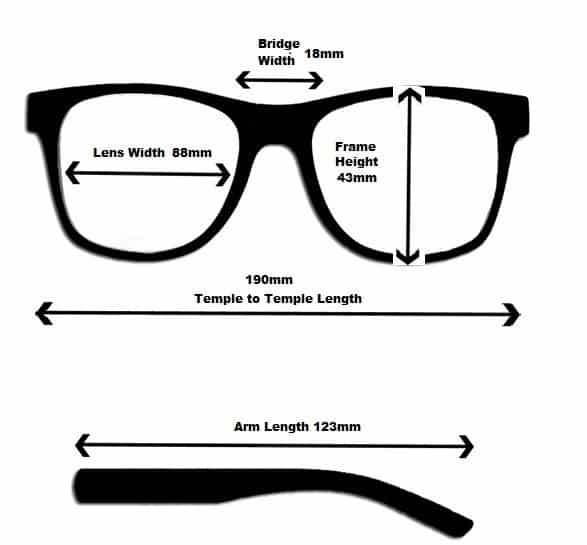 Glasses marked CE, according to the European norm, are suitable for a correct eye protection. However, there are cases where additional protection is required. These glasses are made from Polycarbonate and are impact resistant. Soft Sports Glasses Pouch. If you own glasses, you should own one of these. Soft malleable and felt lined these lovely cases are great for handbags, pockets and the car. If you’ve removed your glasses these cases can easily fit into a pocket for easy storage and they have a handy belt clip to clip them to a bag or belt. A great little pouch that fits everything, even our largest sun shields. Keep everything scratch free.